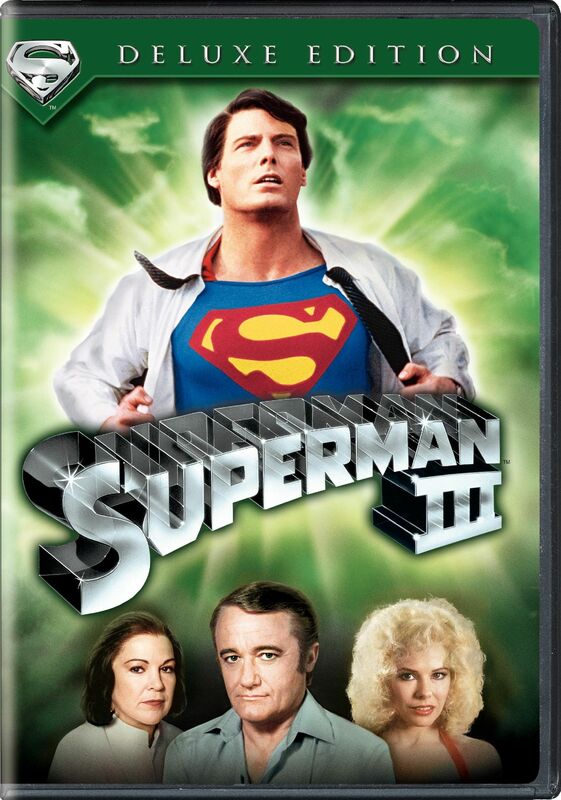 I haven’t had a chance to watch the fourth Superman movie yet, but so far, this one of the franchise is probably my least favourite. There were some fairly good ideas, but I wasn’t that keen on the almost slapstick everything falling over towards the beginning. One fairly interesting thing about this movie was the fact that the main threat didn’t come from an outside force… instead coming from within Superman. There’s a very cool battle scene between good and bad… made more so due to the fact that Christopher Reeve had to play both parts. And having Superman turn against humans was a really interesting idea… though he didn’t really do that much that was bad. It was also good to see Clark return to Smallville and see him interact with Lana Lang. It was cool to recognise the actress playing her as the same one who plays Martha Kent in the Smallville spinoff of Superman. Although I wasn’t especially sold on Lois Lane’s character, I did think that it was a bit of a copout to have her character disappear for most of the movie. It felt like that was more to make room for Lana… and although I enjoyed seeing her and Ricky, it would have been good to see some conflict. At the same time, it was nice to see someone like Clark… and not just his alter ego of Superman. I did like Gus’ character in this movie. Although he was technically one of the bad guys, I felt that he came across as more well-rounded than the other three… who I felt didn’t really seem to have their backgrounds or motivations explored as well as they might have done. There were some nice humorous scenes in this movie, I felt, but the other two were a bit more serious in tone and I tended to prefer that. The atmosphere of this movie was good, though… even if I felt the action fell short in places. I didn’t find myself as emotionally invested in this movie as in the previous two in this particular Superman franchise.